The smart home market has reached a tipping point in terms of adoption in some countries, a survey by prpl Foundation has revealed. 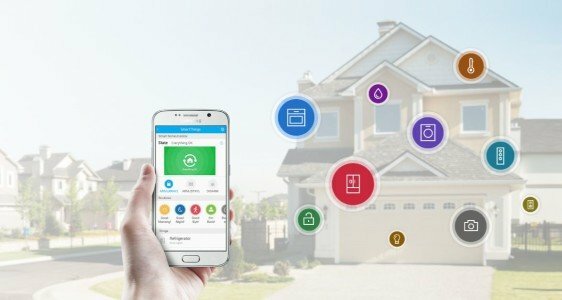 The Global Smart Home Security Report, the first in-depth survey of smart-home consumers by the non-profit, also found that consumers tend to prioritise security over usability. But despite this widespread sentiment, along with an insistence that they’re prepared to take more responsibility for their cyber security, the prpl Foundation found that many users were still failing to follow best security practices. Conducted through OnePoll, the survey canvassed 1,200 respondents in the US, UK, France, Germany, Italy and Japan on the IoT devices they had in their home and security measures people take (or fail to take) to secure their smart homes. In terms of the number of smart devices per household the UK (2.6) and US (2.4) trail France (5.8 devices), Italy (5) and Germany (4.5) by some distance (although this is contradicted by the findings of a report by Parks Associates). If that might surprise some commentators, they might be more surprised still that Japan, a famously technophile nation, has been even slower to embrace the internet of things, with an average of just one smart device per home. “Little research has been done on a large enough scale to uncover the level of penetration of smart devices in the home, and more importantly, the security implications,” said Art Swift, president of the prpl Foundation. “What we’ve uncovered is that the smart home is actually mainstream, as 83% confess to having connected devices, not including laptops, computers and smartphones, in use in their homes. Game consoles, wireless printers and smart TVs were the most popular and yet security concerns have been raised about all three over recent years. The study also found that many users failing to secure their routers, which effectively act as a front door to a home’s entire network. Failure to patch vendor updates could open vulnerabilities through which hackers could eavesdrop on traffic and hijack smart devices. Many users thought Firewall ports must be open for their internet-connected home services to work. Not only is this untrue, said the prpl Foundation, but they pose a huge security risk and vector for attack. Nevertheless, 93% of consumers regularly leave one or more ports open on their router firewall. While security has arguably often been a second-order priority behind usability in consumer electronics, the prpl study shows that a resounding majority of consumers would prefer security to be prioritised over ease-of-use. Some 60% of respondents said they think the home user should take ownership of securing their connected devices, while 20% thought the manufacturer should take responsibility, and another expecting the service provider to do it. Over 40% of respondents would be happy to pay pay more for their devices in return for enhanced security. The prpl Foundation, which was founded in 2012, is an open-source, community-driven, collaborative, non-profit foundation targeting and supporting the MIPS architecture — and open to others — with a focus on enabling next-generation datacenter-to-device portable software and virtualized architectures. How do you discover the best new security products and solutions? See them in action. 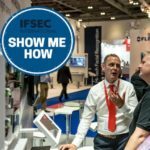 By joining IFSEC 2019, you'll get three days of on-stand demonstrations from the leading names in security industry, with the chance to speak with designated technicians who will ensure you get a practical explanation of the product, not a sales pitch. Security trumps ease-of-use for smart-home consumers as market reaches critical mass The smart home market has reached a tipping point in some countries terms of adoption, a survey by prpl Foundation has revealed.